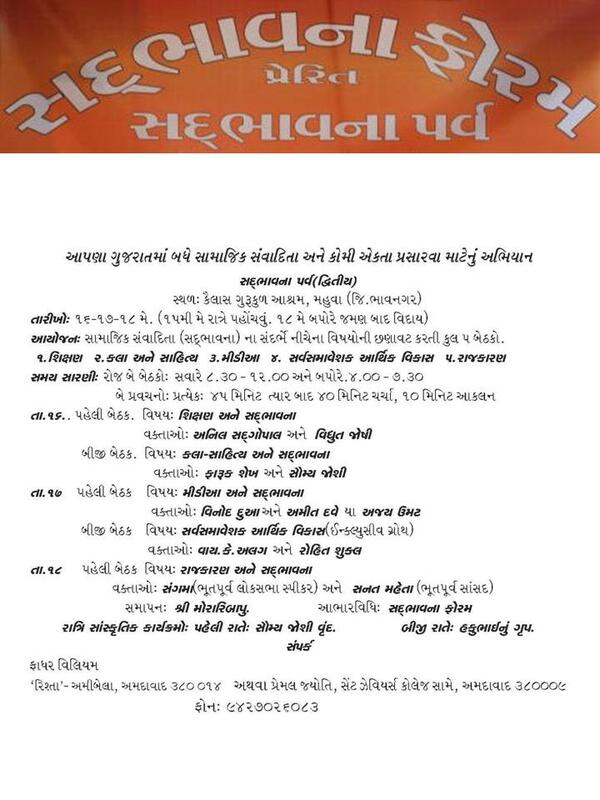 Posted by jagadishchristian in કાર્યક્રમ, સમાચાર-હેવાલ. સેંટ ઝેવિયર્સ કૉલેજ, અમદાવાદના હાલના આચાર્ય ફાધર વિન્સેંટ બ્રેગાંઝા અમેરિકાની મુલાકાતે આવવાના છે. તેમનો વિધિવત્ કાર્યક્રમ જાણવા નીચેનું પ્રેસ રીલીઝ વાંચો. જો તમે આ કૉલેજના ભૂતપૂર્વ વિદ્યાર્થી ના હો પણ તમારી જાણમાં જે હોય તેમને જાણ કરવા વિનંતી. સેંટ ઝેવિયર્સ કૉલેજ, અમદાવાદના ભૂતપૂર્વ વિદ્યાર્થી આજે નામાંકિત વ્યક્તિ છે એમની યાદી. Title: Principal of Xaviers College Ahmedabad to meet alumni. St. Xavier’s College Ahmedabad has completed 50 golden years recently and is now ranked among the top 10 Colleges in India. The Principal of the College will be visiting the United States of America to establish collaborations and exchange programmes with three Jesuit Universities in the U.S. – University of San Francisco, Marquette University in Milwaukee, and Fairfield University in Connecticut. Fr. Vincent Braganza, the present Principal, plans to be on the west coast between 26th April to 2nd May. He will move to the Chicago-Milwaukee area to be there from 3rd May to 9th May, and he will be in the eastern sector from 10th to 16th of May. He is keenly interested in meeting and interfacing with alumni of the College. The weekend of 30th April, 1st & 2nd May have been reserved by him for alumni on the west coast. The weekend of 7th, 8th, 9th May is for the alumni in the central U.S.A., and the weekend of 14th, 15th, 16th May has been kept for alumni on the east coast. Dr. Kanti Patel (H.O.D. 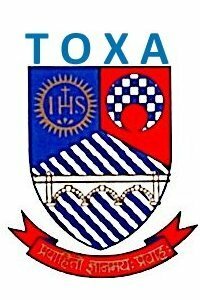 Economics Department) who is also Secretary of the Old Xavierites Association (TOXA) is already in the U.S., and is deputed to coordinate the visit of the Principal. His phone no. in the U.S. is 609-448-8367. 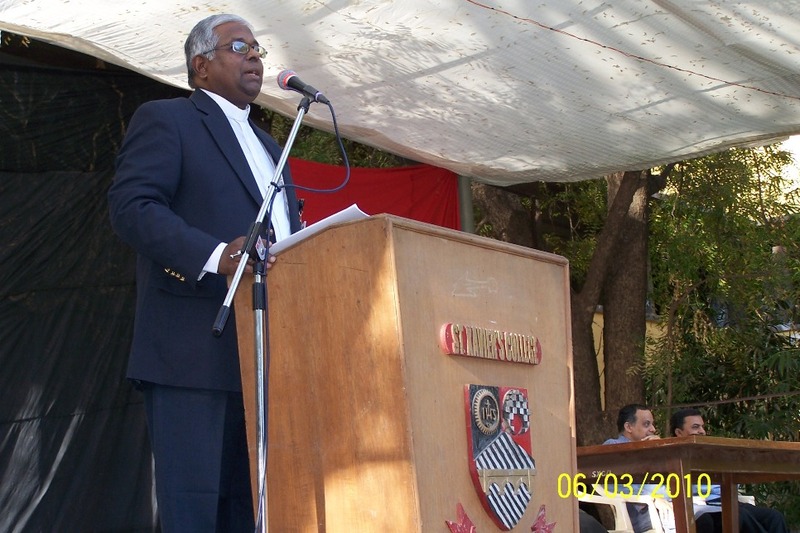 Past Xavierites are encouraged to touch base with him to coordinate getting together with the Principal. If you wish to get in touch with Fr. Braganza, his Email ID is vincentbraganza@xrf.org.in. His mobile no. while in the U.S. will be 302-753-7346. He hopes to set up alumni chapters in the U.S.A. to ensure networking among past Xavierites. The 30th of April has already been earmarked for a particular group in SF, so I could meet any other group on 1st or 2nd of May in L.A. Thanks to Mr. Peter Jadav, California for providing this press release.